There were only five princes in India entitled to a 21 gun salute. His Exalted Highness Mir Osman Ali Khan Siddiqi Bahadur – the Nizam of Hyderabad was one of them. All Golconda diamonds known today were mined in his kingdom. As they would say today - he was a diamond guy. His first transaction in diamonds was made as a child when he found a 400 carat unpolished rough diamond, known today as the Victoria Diamond, in his father’s shoe in the Chowmahalla Palace. The stone was sold to Alexander Malcolm Jacob, sent to Europe for polishing and offered for sale. It returned to the market as a polished 184.5 carat stone. As karma would have it, the stone was bound back to its origin and was offered to the Nizam of Hyderabad. At least initially, the Nizam was quite uninterested in the diamond and offered a mere 46 lakhs (4 million) Rupees for it. He made a good faith deposit on the diamond and although the European jewel cutters did not like this offer, they were forced into court when they lost track of the Nizam's deposit. Ultimately, the Nizam was awarded the diamond for almost half of his original offer, 23 lakhs (2.2 million) Rupees (approx. $50,000 by 2005 rates). Nevertheless, the Nizam still showed little interest in the diamond and for many years it was used solely as a paper weight. The Nizam was considered the richest man in the world at the time. 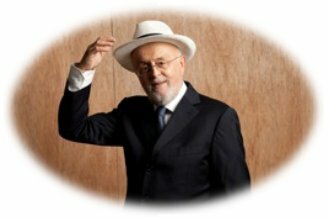 His fortune was estimated at around USD2 billion in 1940. In today's terms, USD2 billion would be worth about USD230 billion - more than Warren Buffett, Bill Gates, Carlos Slim, and a few more of the world’s richest individuals combined. The name of the Nizam popped up again last week when Christie’s New York auctioned the 34.65 carat Fancy Intense Pink diamond. This cushion shaped stone, named the Princie Diamond, was sold for a record breaking USD39.3 million. The Nizam sold the stone first at an auction in London in 1960 and it was purchased by Van Cleef & Arpels for £46,000 (roughly USD70,000) - not a bad return for an investment… even after 53 years. This magnificent Golconda diamond was firmly connected to the Nizam from the time of mining to its sale - he made money at every turn. The stone was named after his son Princie. By the 1880s, Golconda was being used generically by English speakers to refer to any particularly rich mine, and later to any source of great wealth. On 22 February, 1937, Time Magazine spoke of the Nizam, the richest man in the world. His vast inheritance was accumulated by way of mining royalties rather than land revenue. It should be noted that Hyderabad State was the only supplier of diamonds for the global market in the 19th century and his main income was from mining revenues. Consequently, the Nizam was the main source for rough diamonds from India at that time, well before DeBeers…or Rio Tinto. 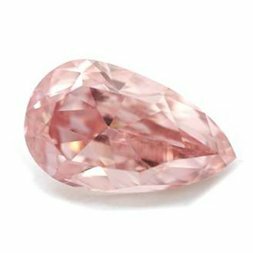 It breaks my heart when I recall our 5.46 carat Golconda Fancy Intense Pink VS1 Oval which we sold about five years ago. It was sold for peanuts in today's terms to a young Chinese lady for her 28 birthday. Then again, that's the business. I would buy back the 5.46 carat stone today with a great premium and even throw in a Rolls Royce Silver Shadow as a bonus. One of the sexiest elements in old Golconda diamonds is their unbelievable brilliance which is readily achieved with proper polishing. Lawrence Graff did a fantastic job upgrading the Wittelsbach Diamond to a Fancy Deep Blue eliminating the gray from the stone completely. There are only limited assets a man is remembered for after 70 years. Will Warren Buffett or Bill Gates be remembered 80 years down the road? Possibly, but by then the stock certificates of Berkshire Hathaway or Microsoft will probably be faded yellow paper. However, the Princie and Victoria diamonds will shine with the same pure sparkle that they emit today for the rest of eternity. 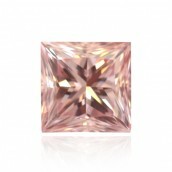 Natural Fancy Pink Diamonds: Harvesting Diamonds or Strawberries?